Ching Cheong graduated with a degree in economics from the University of Hong Kong in 1973 and joined the pro-Beijing newspaper Wen Wei Po in Hong Kong in 1974 and became its deputy editor-in-chief in 1988. He quit the newspaper in 1989 in protest against the Tiananmen crackdown and founded a China-watch magazine, The Contemporary. In 1996 he became chief China correspondent for Singapore’s Straits Times. 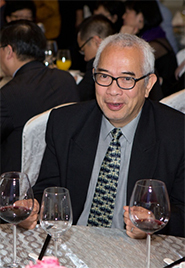 In his 35-year long journalistic career, Ching specialized in political, military and diplomatic news in the Greater China area and had widespread postings experiences in Hong Kong, Beijing, and Taipei. In 2005, his critical analysis led to his imprisonment in China. During his incarceration, the local and international press community extended him great support, which led to his early release in 2008. His other works include A Journey to the Far West of China (1985), Reflection on the Tian An Men crisis (1990), Will Taiwan break away? (2000), Handbook on China’s Accession to the WTO and its impact (2003), The Arduous Road of Patriotism (2005), and My 1000-day Ordeal (2009). The book is about the origin and end of the 1967 riots in Hong Kong. A trove of information has been unveiled for the first time, based on a chronicle kept by a senior official, Ng Tik-chou, who assisted then Premier Zhou Enlai in managing the riot, which was instigated by local communists. Kiang Kwan Sang graduated from the School of Chinese of the University of Hong Kong in 1976. He has worked as a newspaper journalist and public affairs reporter for television. 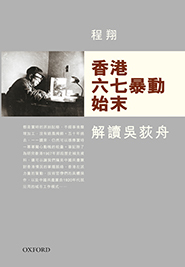 He is also the author of two volumes about the history of the Chinese Communist Party in Hong Kong, The Chinese Communist Party in Hong Kong (Vol. 1) [1921-1949] and (Vol.2) [1949-2012].